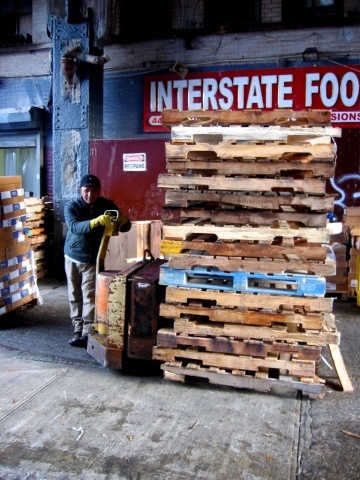 One of the few remaining meatpacking operations, this Interstate Foods location comes alive in the middle of the night. I've shot this scene - under the High Line on West 13th Street - maybe 100 times and never gotten it right. This man was nice enough to pose for the picture.